The use of Cards has more than benefits than you can imagine. This major component on your site makes your overall UI an easier place to navigate and scroll through, by taking sections of your contents and turning them onto smaller digestible forms. No matter what type of website you own, the use of cards also simplify the process of managing and organizing the contents. Another benefit is the exposure the contents get when displayed as a card. More elements fit on a screen which means more contents are on display for the users to take in. And the infinitely manipulatable form of cards makes it a great contender for the material design. But before we move onto our list of handpicked options you can try to implement or get inspired by, let’s understand what exactly are material design? 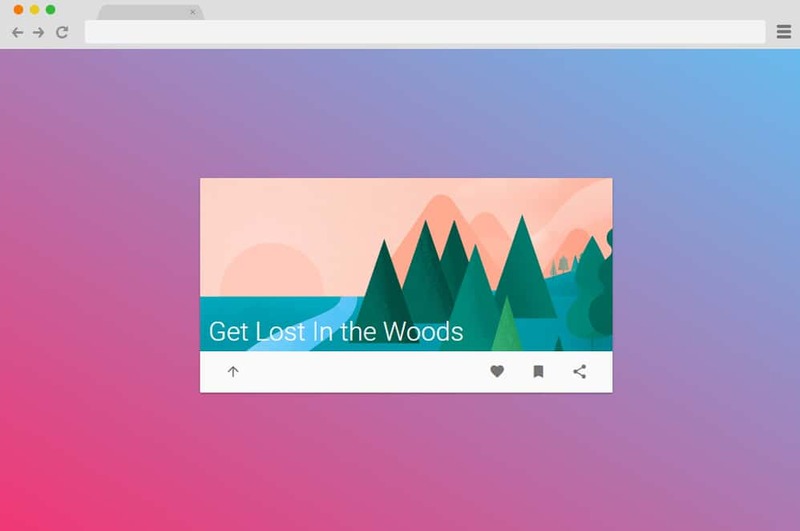 Material Design is a design language that Google developed which was explained or demonstrated with the release of Google Now. This was back in 2014, and now is one of the popular implementations on basically of all major components. But before we move on to the topic today, let’s take a brief look into what exactly does that mean? Material Design is basically the designs that emphasize majorly on the grid-based layout, responsive transitions as well as effects and most of all on the shadows and lighting to give out that almost real-to-touch feel. 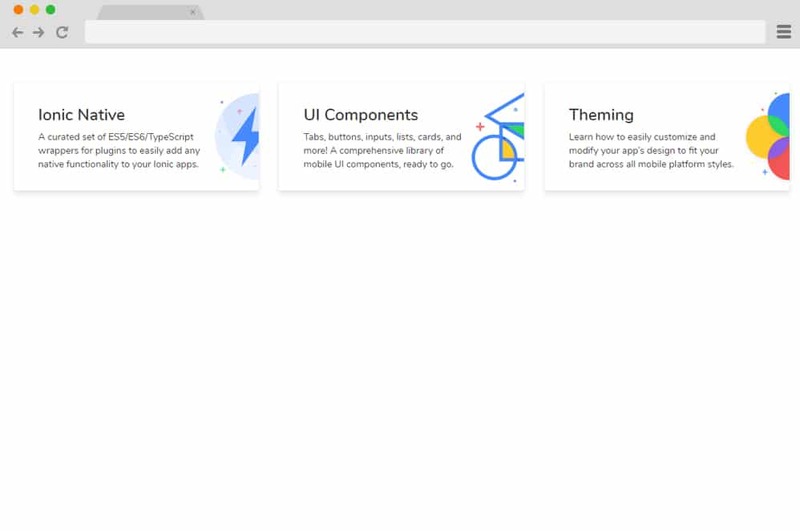 Now that it is 2019, the inspirations and implementation of the Material Design throughout the web page components are not uncommon. Thus, here at UiCookies, today we have made a list of the best possible ideas and creative examples. Check out these awesome options for you to try out and change the whole of your website interface for better. 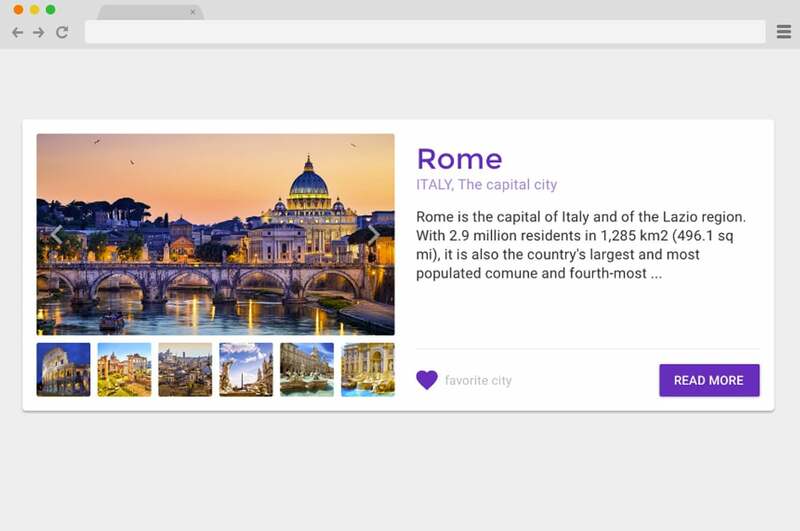 Built on the advanced Ionic framework, this card design also follows the simple and effective material design. 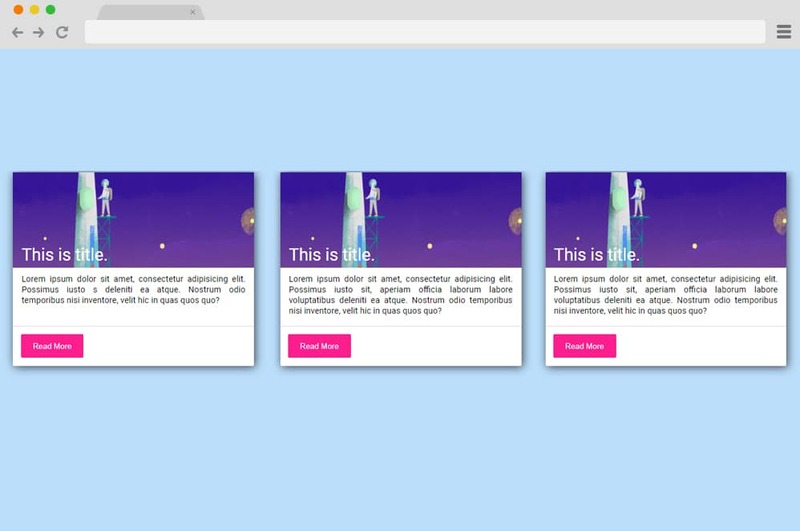 Using simple CSS and HTML coding structure, this first example is the perfect way to start adapting to material design. And to elevate it even further with a smooth and stunning hover effect. With minimal design, appropriate lighting and shadow as well as clean color palette, this is an amazing way to introduce articles on your site for your users. This is the perfect example of a Material Design Cards just as the name suggests. Perfect for any professional sites, blogs and more to give a snippet preview of what lies with the content. The featured image, title, and the small description provides an ample amount of details to give the users the idea of what it features. 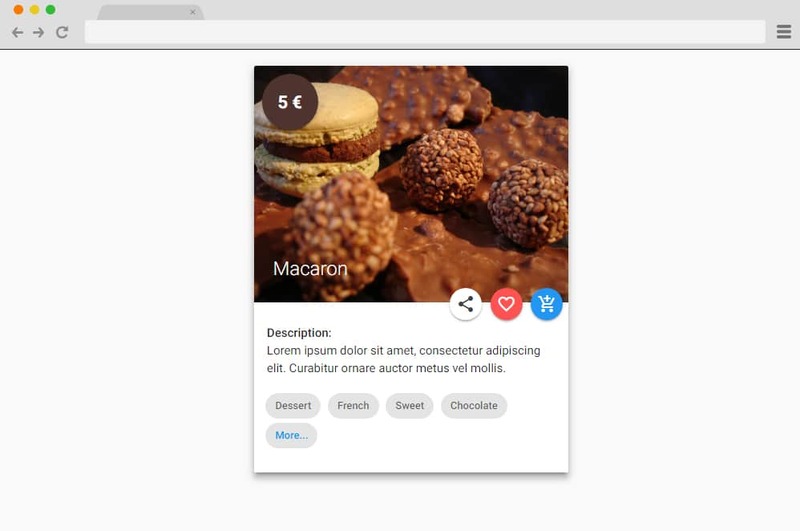 While the whole design structure is based on the material design, it is further elevated using the hover effects on the button as well as the whole card to go along with a similar aesthetic. If you want to add that extra edge to your online portfolio or CVs, and resumes then this material design card is a great choice. 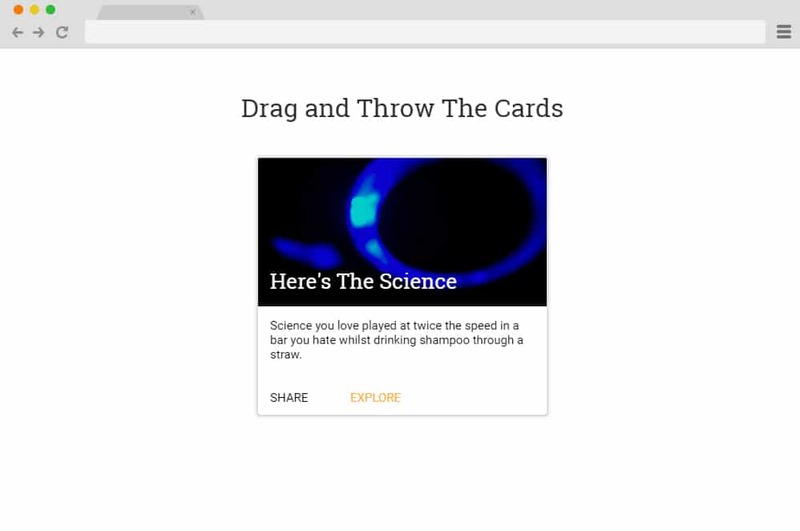 Adding engaging factors for your users to see, the components within the cards are animated to display and hide on hover. Unlike the classic card which usually includes holders for Title, details and the image, this displays only the image and the Title. When hovered over, the image slides upward to make way for the details to appear sequentially on the screen. Follow the link below to get access to the full coding structure. Another way to add innovativeness and freshness to a simple online card is by adding an animated element. This example elaborates on the use of animated charts, analytics, and buttons to get this amazing result. Clicking on the orange circle allows the diagrammatic overview to show up on the screen. All of the codes are there to view and export, just follow the link below to get the same stunning effect. 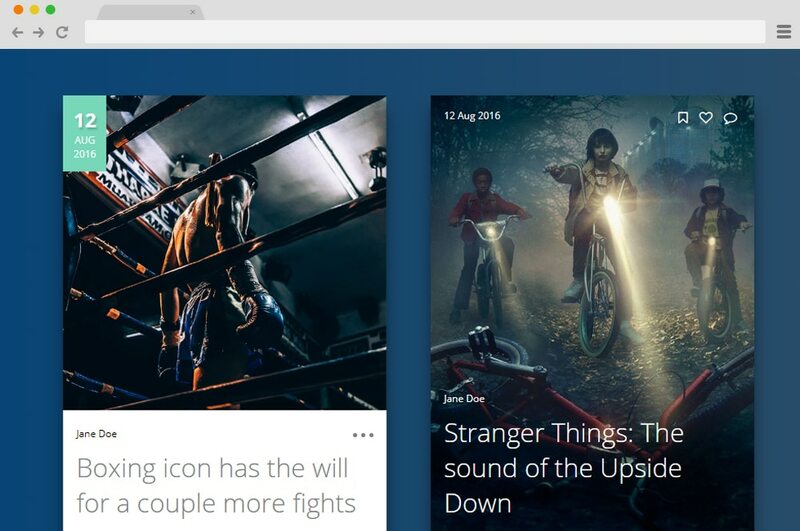 Perfect inspirations for those looking to add an interesting element onto their site, make even analytics and presentations fun. Another example of a mesmerizing material design card is this Profile card designed by David Jones. Using various animations and effects through CSS and HTML, the creator has managed to create an interesting way to introduce your CV, Resume, Cards or profiles. You can get the full structure and coding on the link below. And each of the markups and details is easy to replace including the name, avatar, links and more. Adding more realistic feel to the card, hover effects casting shadows are also enabled throughout the sections. This wonderful animated material design card takes on another creative path to achieve that smooth transition. The gradient background gives way for a more subtle and smooth transition of the components as well. 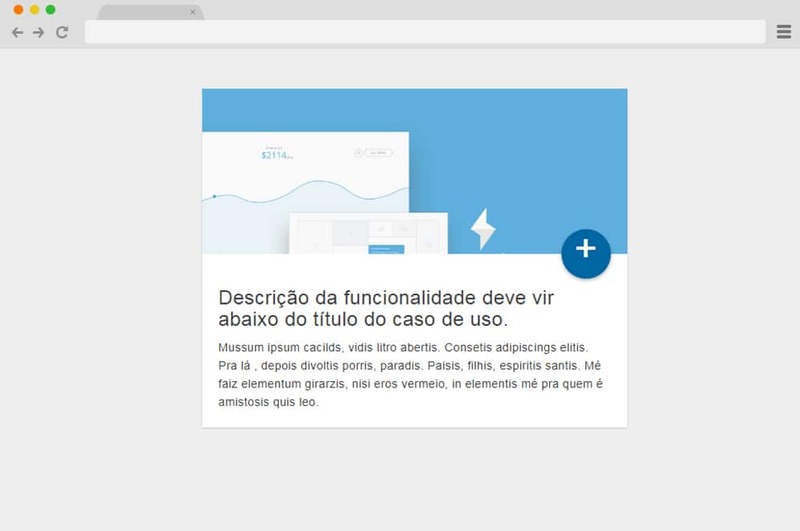 When hovered over with a cursor, the animated header or headline and the description uses the CSS and HTML effect to give out that professional feel. 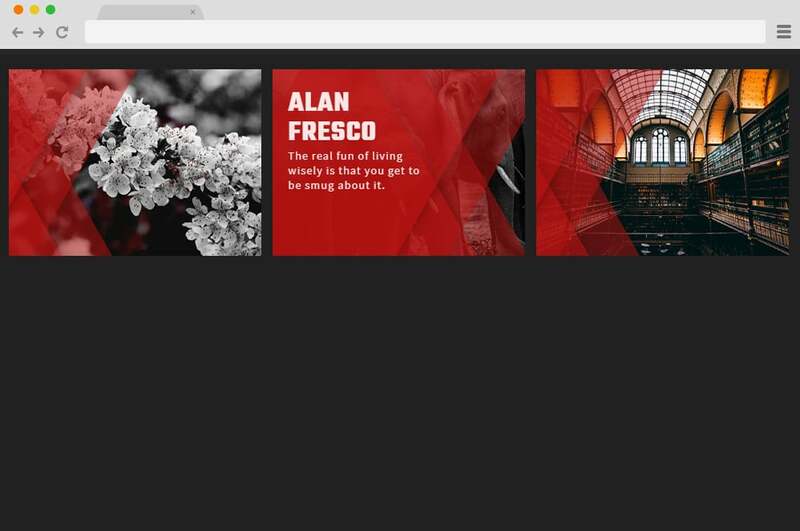 Perfect to keep things interesting for those looking on your site, this example is the ideal inspiration to copy. And the best thing about this is that following the link below gives access to it all. All of the components including the background, card as well as the texts and images are interchangeable and can be replaced with a few tweaks on the codes. This is a simple collection of the list of material design cards that can help you get started. If you are looking to get a head start while material designing the elements without the hassle of getting into the coding then this is it. Playing with the lighting as well as the shadows cast, various examples are included and you can easily use to your benefit. Use the link below and get ahead on any of your projects right away. 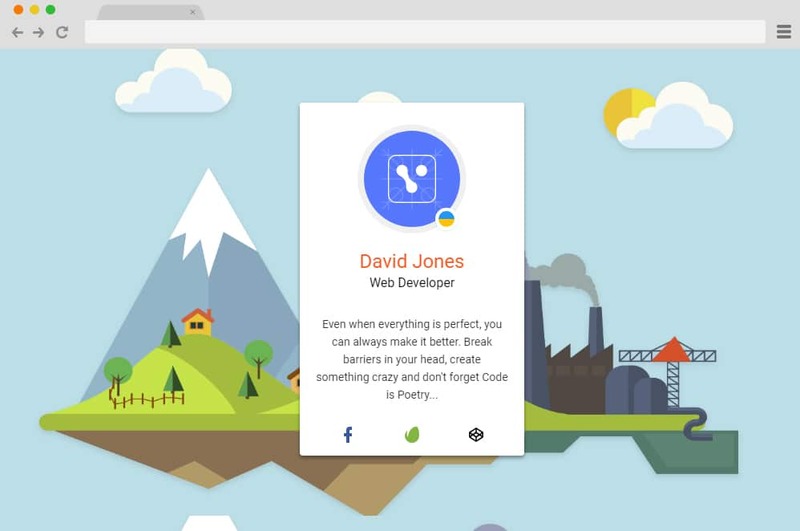 The inspiration to it all, follow this link to decode the material design resembling the Google site itself. To make things look even more professional, there are variations that you can easily copy and embed onto your site. 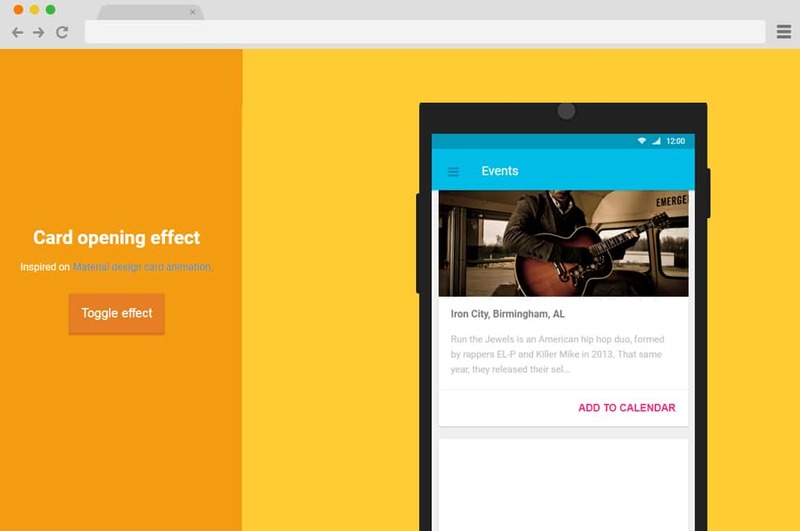 Get a head start with material design cards and add that authentic feel with extreme ease. 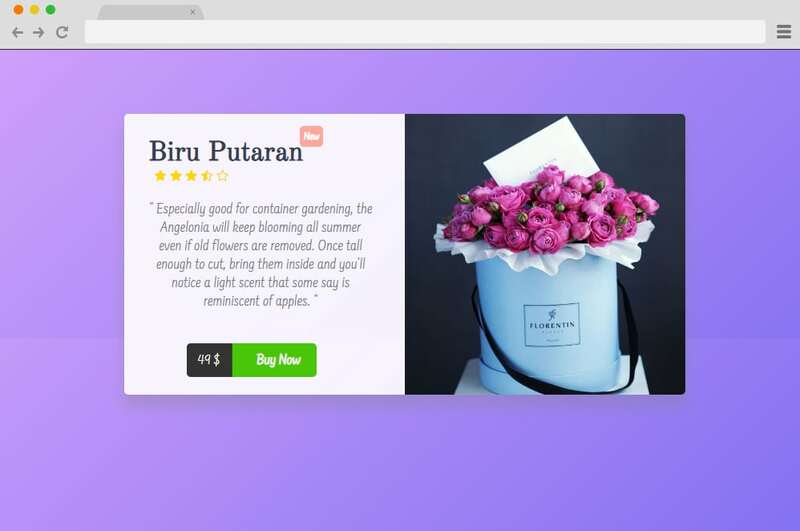 As we have mentioned before, more and more popular websites have started implementing the card-based layout to keep things modern on their site. So what are you waiting for? 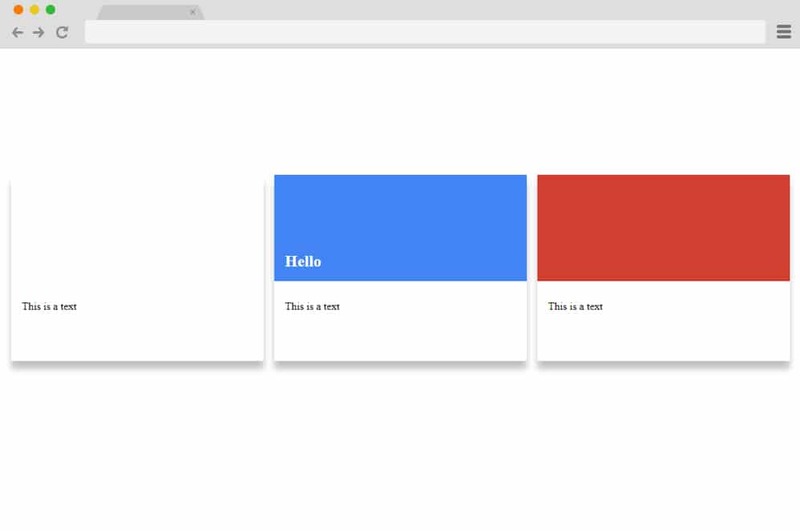 This material design card is created using CSS, HTML and a bit of JS. It contains advanced components including fields for image, title, published date, a snippet of the preview. And to top it off, this card also includes the animated share button. Click on that and you will be able to link various social site as well. Perfect for professional blogs, online editorials, and similar niche, create an innovative interface for your users to interact through with ease. Talking about a blog based and similar niche of material design card examples, this is yet another exemplary variation. Making use of the CSS page transitions, and a professional looking card to lead the way to your content, you can place this throughout the site with ease. Two call-to-action buttons are placed each representing an action. When clicked on, the snippet preview expands to reveal the whole content. And just like the one before, this is also perfect for blogs, online news, editorials and anything subjected to the niche. Getting into more efficient and variations with the same material design cards, this is an option to opt for. Why? Because with the same style, this includes different sizes and view style to choose from. Just like with the various types of cards in real life, the small card resembles a name card with just the image, title, and the buttons. The medium card holds a resemblance to a business card having just the name, details and the buttons. Big card or the largest one contains placeholders for all the components including name, title, image, details as well as the buttons. So whichever you wish to enable on your site, it is easy to implement. It uses the powerful CSS, HTML and somewhat of JS to get this creative result so once you get the hang of it, you can do the same and achieve a similar result. 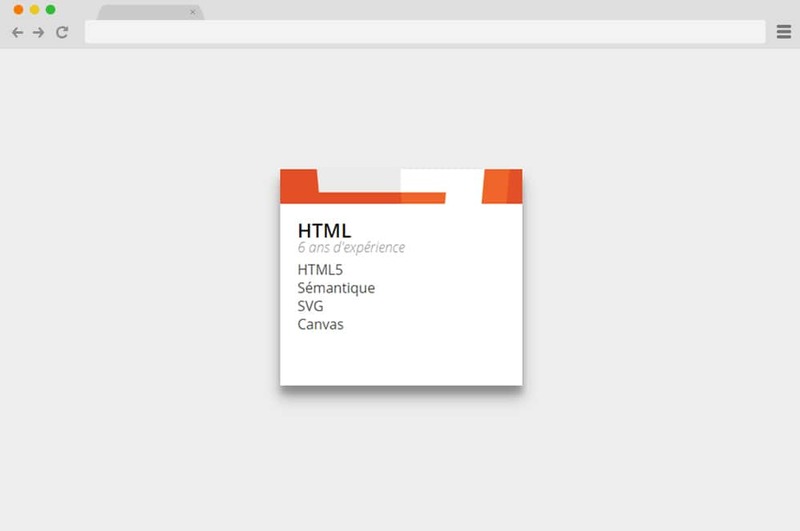 One of the more advanced and more creative options is this material design card with overlay animation. 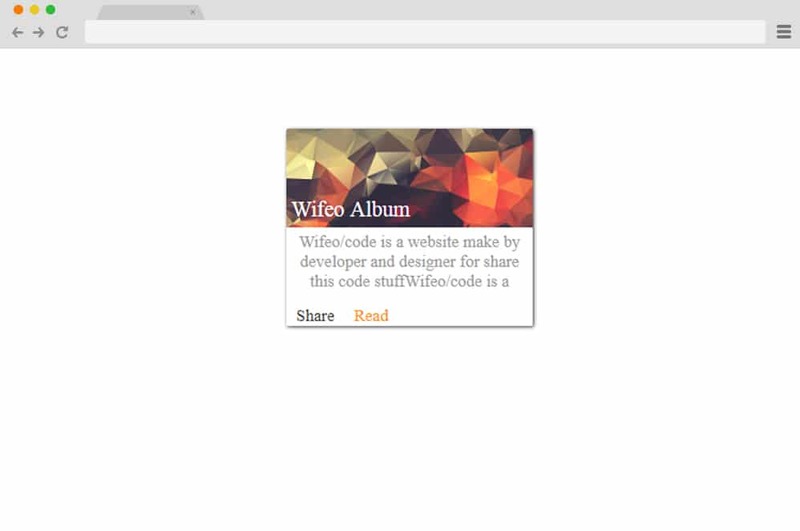 It uses the HTML, CSS combined with JS to add that material animation to the simplistic nature of the card. The simple button with the icon is placed on the bottom of the card and when clicked on executes the material overlay animation before expanding to reveal the content inside. Perfect for those looking for a more creative solution, find all the codes and details with the link below. The perfect distraction and engaging factor for those who want an advanced and innovative material design based card. This example emphasizes more on JS than HTML and CSS although they are used to add certain ailments here and there. And as the name suggests, the users are expected to drag and throw the cards to display the one beneath it. Resembling almost a realistic feel to it, you can use the cursor to enable the drag and throw effect. However, unlike in real-life you do not need to pick it up and stack it together again because that is what the digitalization is there for. Once the whole cards are dragged and thrown, it automatically repeats the whole list again. Surely one to engage your users while leaving a great first impression, why not try this out? 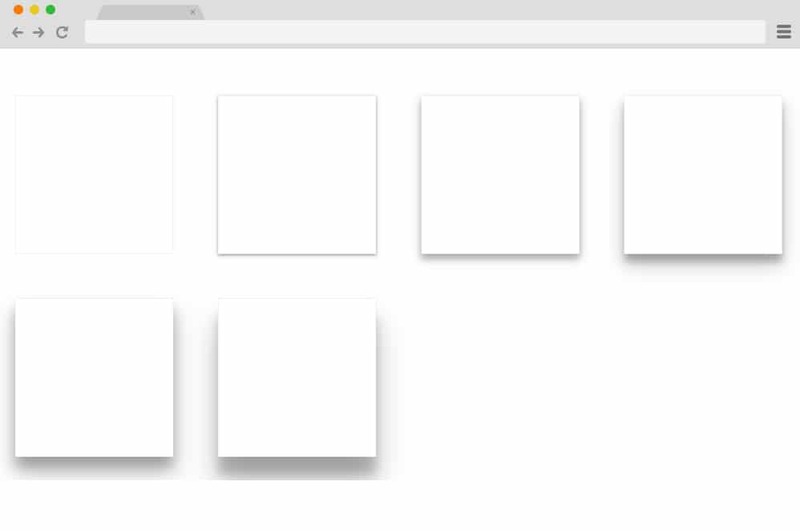 This is another simpler alternative for CSS cards with material design. Perfect to use as a profile widget, or as a user profile card in any professional site, it is also responsive. This ensures that the movement and transitions are smooth and automatically adjusts to any screen size. You can also use this on the Team Members Page to add that innovative touch. It is built using both CSS and JS as well as HTML to add all of the elements together. Follow the link below to get access to it all. This variation of the animated card is another flexible and versatile option you can try out. 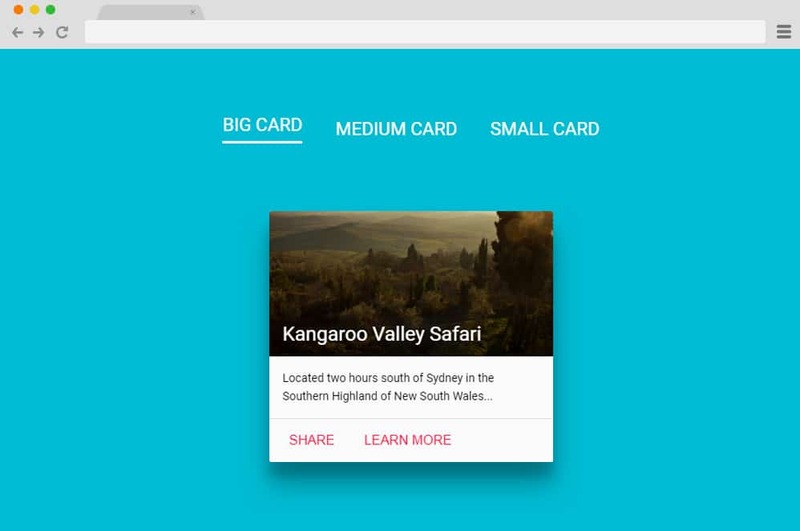 Designed with the material design in mind, each and every component including the transitions, animations as well as the card is visually impressive. 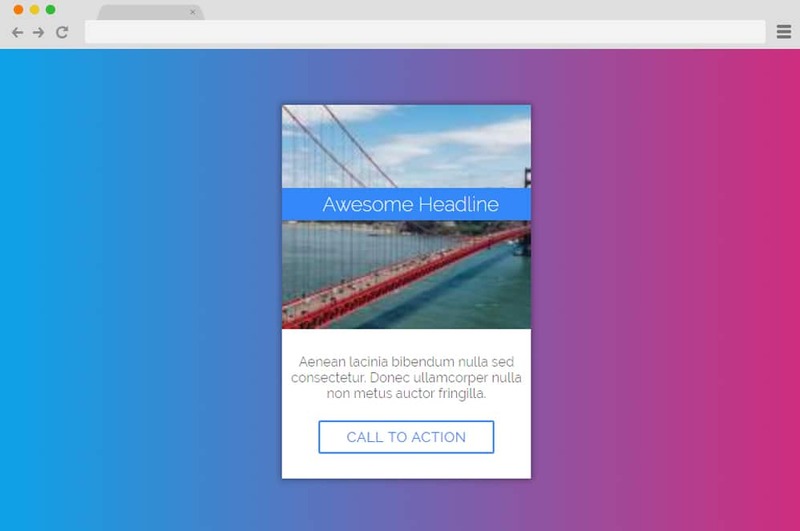 Thanks to the clean HTML, CSS and JS codes embedded together, this material design card is surely effective. You can use this for any of your blogs, product pages or even for personal and professional sites. It starts off with the simple image and buttons for users to see. When clicked on, it slides upwards to reveal the content inside. Another advanced features are the buttons enabled for social sharing, like and even to bookmark the content. Utilizing the transitions and effects created with CSS and JS combined, this is also another creative material design card you can use. It is ideal for every type or professional sites whether it is for business, charities, organizations and even for personal blogs, editorial and more. The card presents itself in a split screen, one containing the actual card and the other with the button. When clicked, the details transitions with a clean opening effect to display the content inside. Another perfect example of playing with the shadows cast and the lighting to create an almost realistic feel to any simple card on your site. 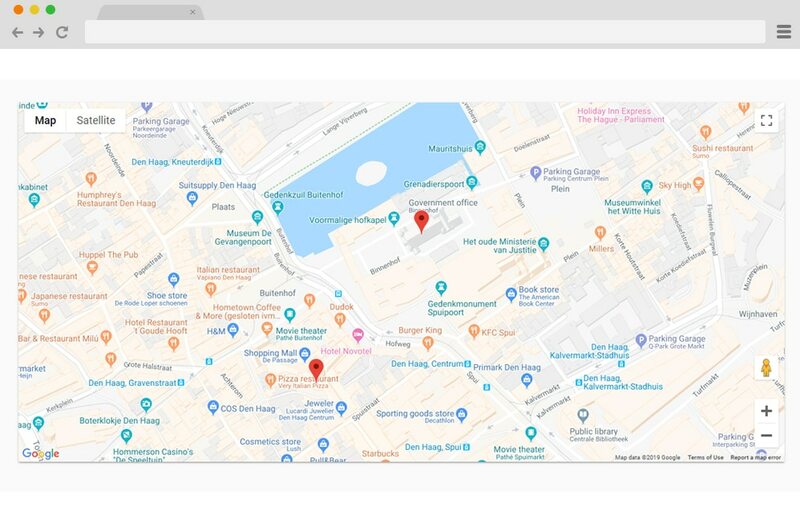 Created using the HTML, CSS as well as JS it features Google Maps based material design. And with the access to all of the codes implemented, easily replicate the same style within a matter of minutes. The great thing about it is that the customizing and styling is completely up to you. I think you pretty much get the gist that this material design card depends entirely on CSS to get the effect with the title itself. Using simple card design with image holder as well as the description and title in place. The advanced animated icon or button is another creative touch. 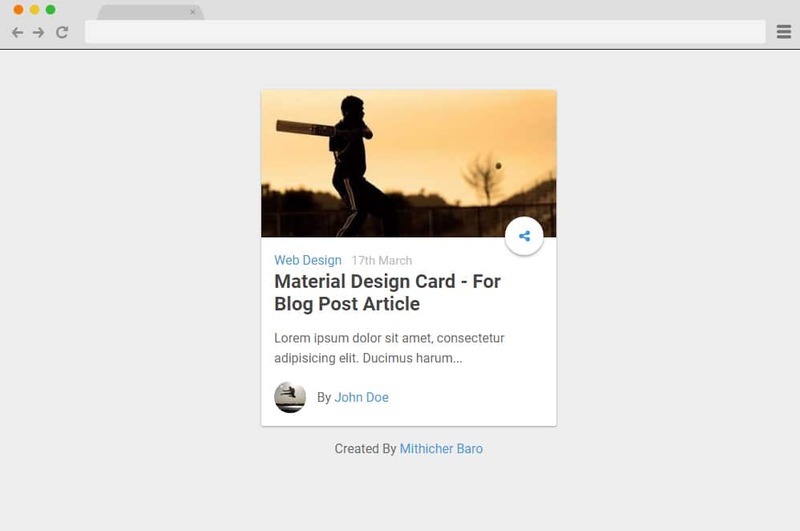 You can utilize this card and use it to show glimpse or snippet of blog posts, contents or even products by adding page transitions. And because the codes are clean and simple, you can get the same effect simply by following the same structure. This is yet another stunning example of cards designed with online publishing or editorial industry in mind. It is perfect to add on any blogs, product pages and even on news and editorial to give the users an idea about what the content is about. 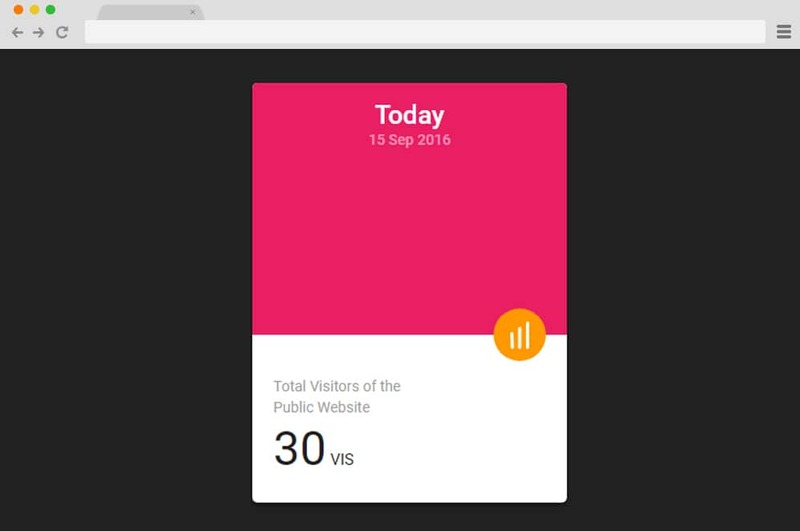 The card follows a simple material design and is further elevated with the hover effect. It resembles any typical card-based layout which includes title, image, details, dates and even comments. When hovered over it slides upwards revealing a snippet preview as well as a shadow cast following the material design. Now, this is an example of using a simple card to elevate any product page or an online shop. It is designed with a clean, modern and stylish finish which includes all of the necessary ailments like animated image slider, title, as well as detail. Keeping in mind the business and shop purpose in mind, the card also includes an animated button as well as the product review in place. Using both CSS, JS as well as HTML, the button also reveals a transition when hovered changing the price to an icon for the cart. Another one for the online publishing industry this is another perfect card based on the material design to opt for. Just as displayed on the examples, this is perfect for News and review based sites. But thanks to the flexibility it serves, you can use it for any type of blogs, news and even for other niches of professional sites. The cards use the basic material design and also executes a stunning hover effect. There are also two variations that you can use. Each created using purely CSS and HTML, it provides easy addition of a creative element for your users to enjoy. 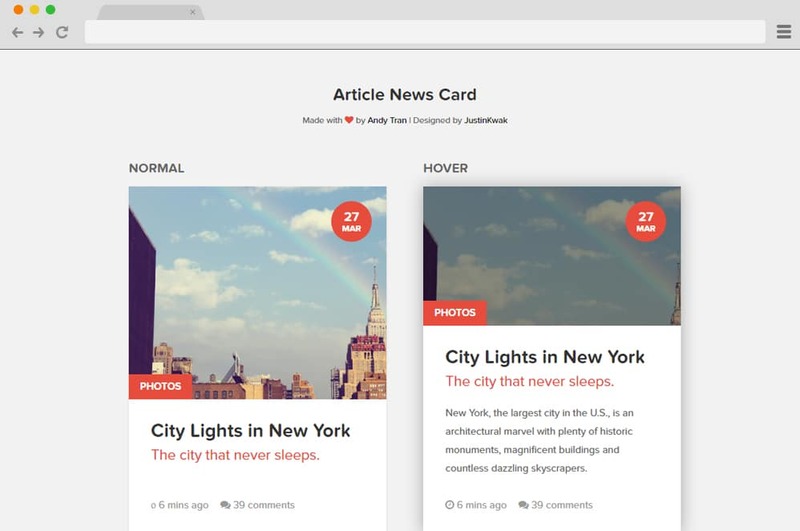 Talking about creative hover effect implemented on the cards, this is yet another stylish option to try out. A simple card holding an image is elevated with the help of animated elements atop it. When hovered over, various translucent layers placed in a stylish manner slides out to reveal the title and the detail. Not only is this innovative and creative, but is modern in all ways, but it also makes an excellent engaging element on any site. All of the HTML and CSS codes are available for you to look in and replicate. Just follow the link below and customize the fields to add your own custom touch. Following a simple, materialistic as well as beautiful design structure, this card is yet another variation for those looking for something for their online entrepreneurship. By the name itself, it is clear that this card is meant to be displaying the product details. It includes sections for image, title, and details. A pricing button is also atop the product image which you can customize to your preference. Three buttons for social sharing, like and cart are also enabled for an easy shopping experience. Another unique feature is the tags that are displayed which also gives the user the glimpse into what they wil find inside. Unlike most of the examples we have mentioned above, this card takes a more real-life feel of a business card. That’s right! This card combines the shape and resemblance of a business card displaying all the necessary ailments in an appealing manner. Sectioned into two parts, one displays placeholders for images while the second-half follows the basic of title, detail and a Read More Button. Simple, effective and elegant, this is the perfect way to get things organized and clean with minimal effort.